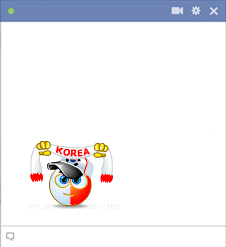 If you want Korea to take home the next World Cup, share this emoticon on your timeline. You can root your team on to another win. Inspire all your friends on Facebook to post their favorite soccer emoticons too. Enjoy a friendly rivalry as you and your friends post to teams you want to win.